If you weren’t born with the proverbial silver spoon in your mouth and you’ve worked hard for your success, you may relate to the inspirational story of Manchester’s Tse family and their rags to riches journey. 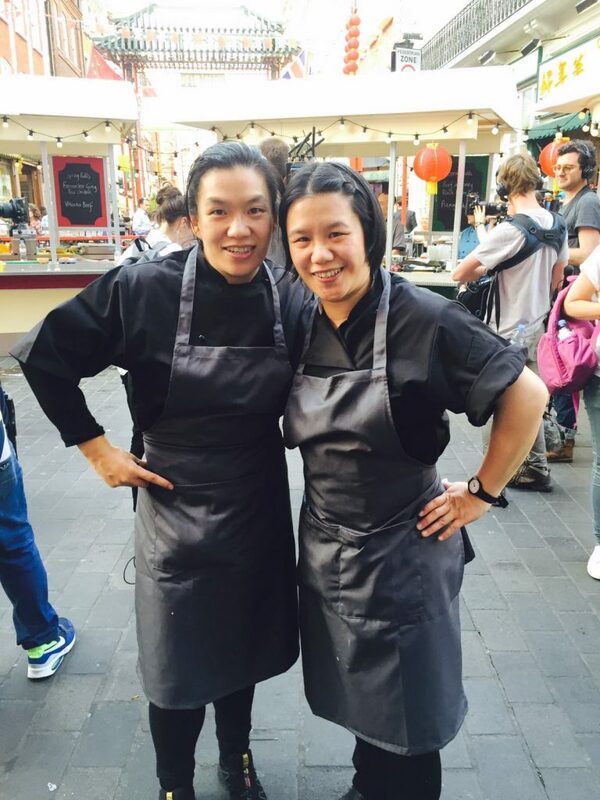 With an MBE in the family, they not only own Manchester’s award-winning Sweet Mandarin restaurant but supply The Queen at Buckingham Palace as well as Number 10 Downing Street with their globally successful allergy-free sauces. They won £50 thousand on Dragon’s Den, awarded by Hilary Devaney, who was so impressed by their sales pitch, she left them alone to enjoy their success. 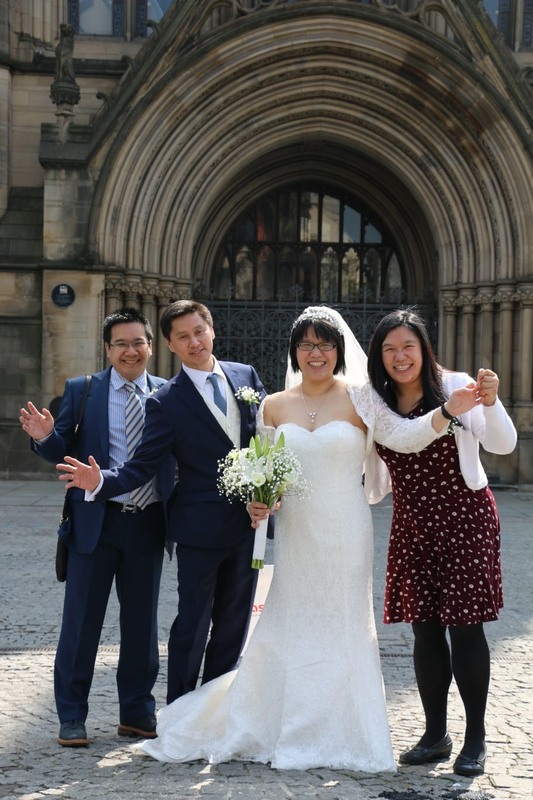 Since then they’ve encountered the great and the good on trade missions with David Cameron to meet the Chinese Prime Minister, in the country of their ancestors, where their story began, as Helen Tse explains. “Our great grand-parents lived in Guang Zhou, a Chinese province rich in soya beans, which great grand-father hoped to market to Hong Kong. Sadly, he was murdered by a rival. 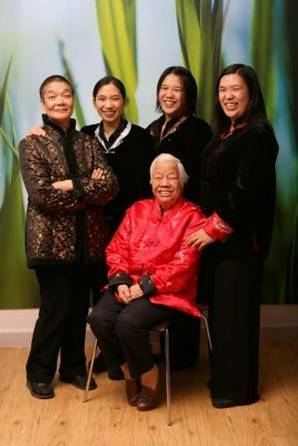 Because women then could not inherit, my great grandmother and their six children were left destitute and eventually moved to Hong Kong in search of work. Her daughter and my grandmother, Lily Kwok, was sent out to work when she was only 12 years old. She became a maid to an English family and Mrs Woodman left her a small lump sum with which she travelled to England and set up a restaurant in1950’s Middleton. I vividly remember her and she was a formidable lady,” Helen reminisced. “My mother Mabel, Lily’s daughter, was brought up living above a chippie and worked from the tender age of nine. With the rest of the family, they eventually ran the business. But when she married Eric and they had we three girls and a son, they were determined they would give all of us a good education and insisted we left home to get our qualifications. 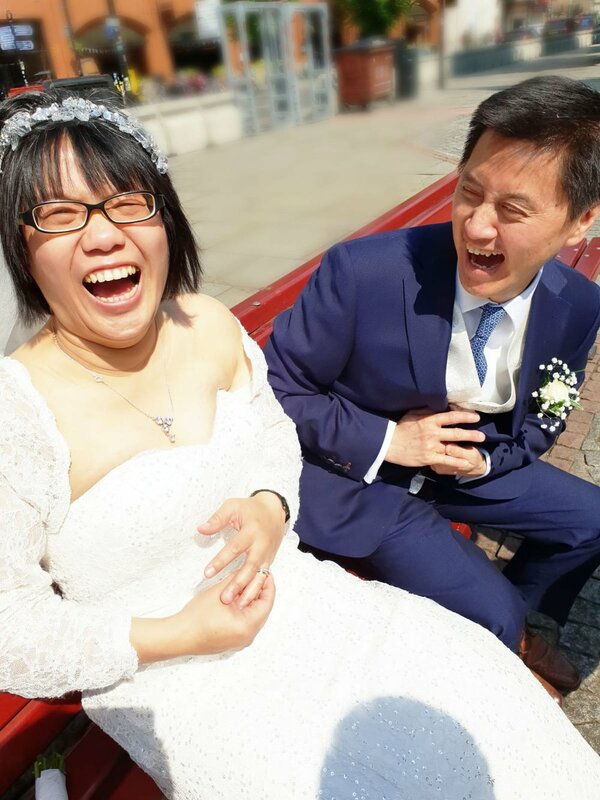 “Once we learnt our incredible family history, and I only discovered how dirt poor they were when I went to Hong Kong, we sat down as adults and decided how we could honour them. That’s when we decided to open Sweet Mandarin. No bank would lend us the money so, as we already owned our own homes, we sold all our houses and moved back in with mum and dad! The only land we could afford was in the Northern Quarter which, of course, was not the trendy place it is today. We bought an empty car park as an investment and eventually built the restaurant there. “Although we are all good cooks, my brother has a degree in computer technology and works in IT. My sister Janet is a software engineer and she has two small children. 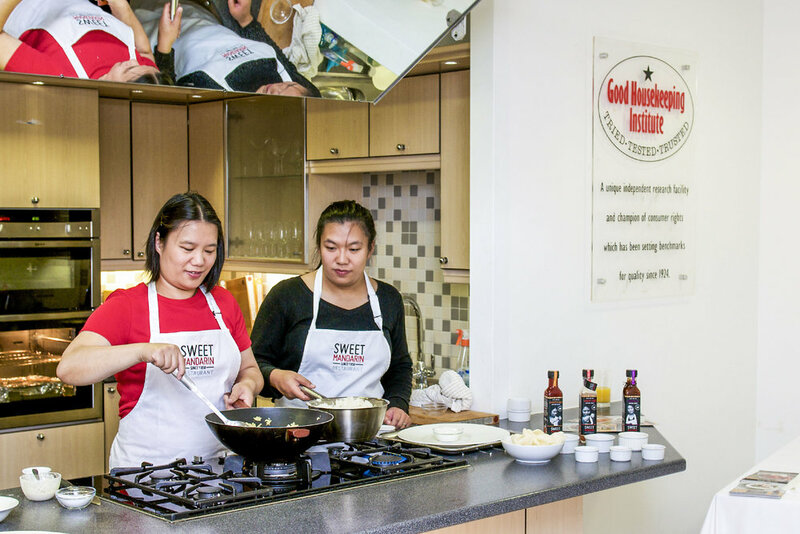 I’d qualified as a lawyer but it’s my twin sister Lisa, now CEO of Sweet Mandarin and SM Sauces, who keeps reminding me, she is more hands-on than the rest of us,” Helen chuckles. 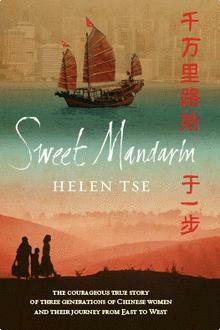 Helen has already written a book about her family’s remarkable story called, of course, Sweet Mandarin, which eventually became a successful play which sold out at the Royal Exchange last year. She’s also written a recipe book using the same name. A Law graduate from Cambridge University with a professional career which has included working at Clifford Chance, London & Hong Kong, PricewaterhouseCoopers and Walkers in the Cayman Islands. Helen was an awarded an MBE by Her Majesty the Queen in 2014 and joined Clarke Willmott in 2017. Another of Helen’s books, entitled Doing Business after Brexit, was published by Bloomsbury, reflecting the work she does advising businesses to look at both the risks and the opportunities afforded by Brexit. She also gives talks and her latest, called Brexit and Dentists, made me smile until she explained that dentists and healthcare sectors, she believes, will be significantly impacted. 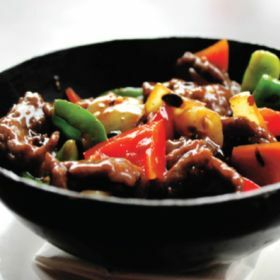 With a catch line that claims to serve delicious Mandarin and exotic cocktails, Sweet Mandarin is only open from Tuesday to Sunday from 5 pm - 10 pm. So that’s the life/work balance sorted!